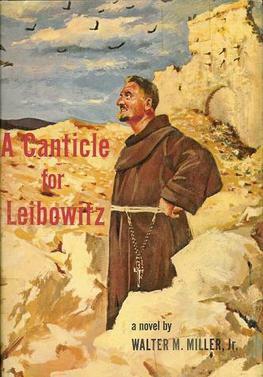 A Canticle for Leibowitz ( ***** ) a rich, funny, dramatic, dark and thought-provoking novel. It is available now in the USA. There is no current British edition (for the time being anyway) but the book is easily available on import or second-hand in the UK. Walter M. Miller sadly took his own life in 1996, but a successor volume, Saint Leibowitz and the Wild Horse Woman, was completed and published with the help of Terry Bisson.